Author John M. Harris speaks on his love of history and the Browns in this Coshocton Tribune article. “He was 10 years old in his grandparents’ basement, watching the Browns face the Baltimore Colts in the 1964 NFL Championship game. After a scoreless first half, the Browns came to life to upset the Colts, 27-0. 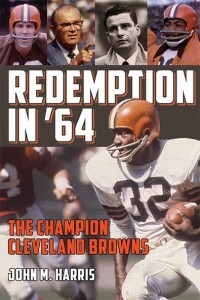 Find out about Redemption in ’64: The Champion Cleveland Browns.